The Worcester Greenstar 38 CDi Classic is part of Worcester top of the range combi boilers. Designed for larger homes Worcester claims this range of combis operate at high efficiency in both heat and water compared with most combi boiler which only manage high heat efficiency. 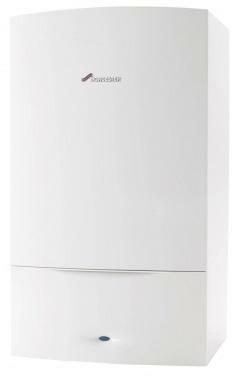 With a SEDBUK 2009 efficiency rating of 92% the 38 CDi Classic is a highly efficient combi boiler. The flow rate is typical for this size of boiler at 16 litres per minute but if you require more there is a 42 kW version available. The boiler unit measures 76x44x36 cm and weighs in at 47.5kg which is typical for this output of boiler. This boiler is recommended by the Energy Saving Trust.